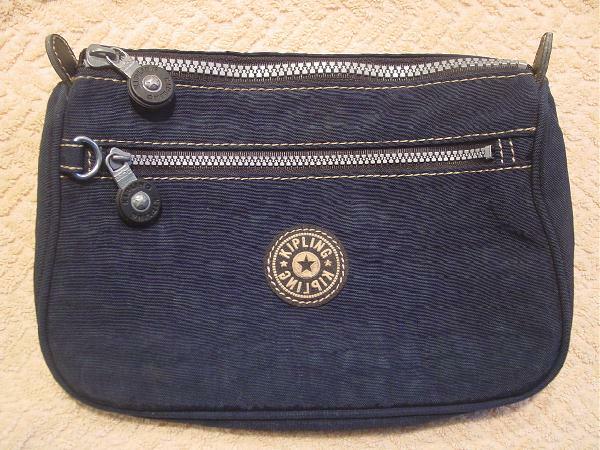 This dark blue fabric clutch is by Kipling. It has top and front side to side silvery-gray zippers with black logo pulls. On the front side is a black and tan circular logo. 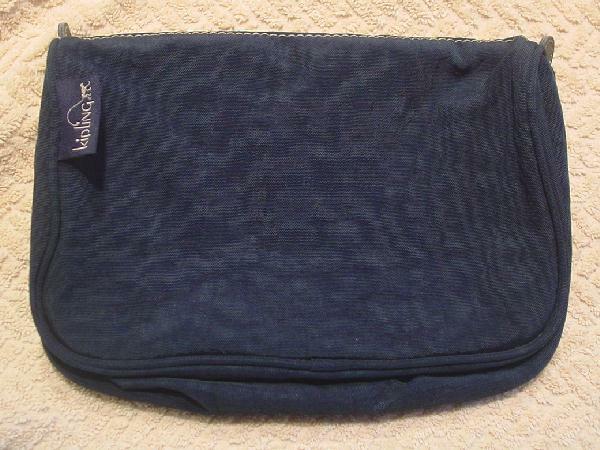 The back has a left side fabric tag that says Kipling and the back side says Private Transport. 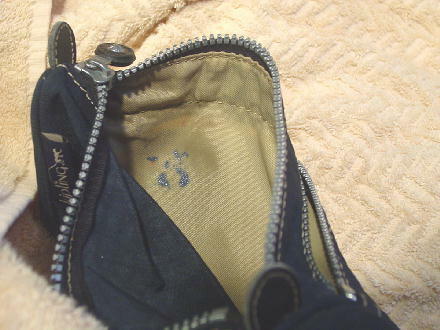 The front interior light tan lining has some ink stains.